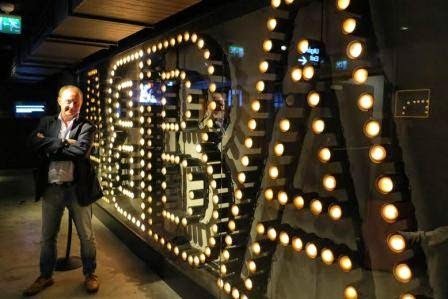 The illuminated sign outside the ABBA Museum in Stockholm invites visitors to WALK IN, DANCE OUT. It fails to mention that anyone who does walk in might have to be dragged out, kicking and screaming, because it’s such a fun-filled experience that nobody wants to leave. 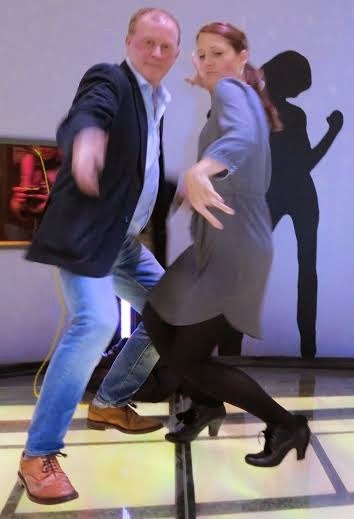 With the group’s universally-loved hits playing non-stop, a visit to the interactive ABBA Museum means you can dance, you can jive, and you’ll definitely be having the time of your life. It’s the Swedish capital’s latest world-class visitor attraction, and it’s ABBAsolutely fantastic. 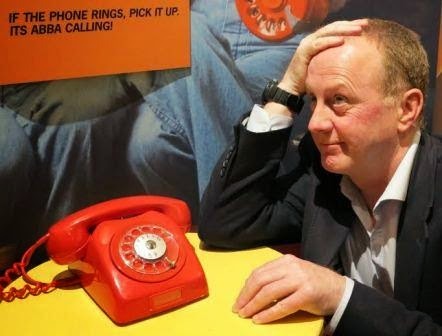 There’s a 1970s-style red plastic telephone in the ABBA Museum that will sometimes Ring, Ring. If you’re nearest to it when the bell trills and pick it up, you’ll find yourself speaking with Agnetha Faltskog, Bjorn Ulvaeus, Benny Andersson or Anni-Frid (Frida) Lyngstad. They’re the only people in the world who know the number, and now and then one of them will call and chat with whoever answers. Knowing my luck, if I’d answered it would have been my bank manager looking for some Money, Money, Money. An electronic scoreboard awards points while you sing. The better you sound, according to the software, the more points you accumulate (I’d just like to point out here that computers are fallible). Anyone with half-a-note in their head can expect to score around 2,500. A good singer will get between 5,000 and 8,000. And a really good singer is up there in the 10,000-plus club. I got 744. They’ll have to get a technician in. Undeterred, I jumped at the chance to “become the fifth member of ABBA”. 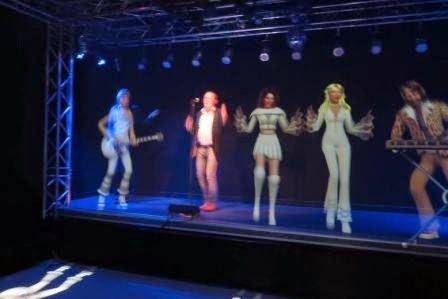 This is where visitors, one at a time, can get up on a stage and sing along with animated holograms of Agnetha, Bjorn, Benny and Frida. There’s a choice of songs, and not wishing to fall victim to another computer glitch I chose Money, Money, Money. The lights came up, the ghostly band appeared either side of me, the music began – and so did the abuse. It’s not easy trying to dance, read lyrics from a monitor and sing at the same time when, on the other side of the glass that separates artiste from audience, people you thought were your pals are laughing their heads off. They were sticking their thumbs in their ears and wiggling their fingers, poking their tongues out, pulling grotesque faces and making rude gestures. Gimme, Gimme, Gimme a break, I thought. Mind you, when I downloaded the video later (swipe your ticket before going on stage for another unique souvenir) I could see their point. It was comedy gold. Every one of the thousands of exhibits in the museum is the real thing – there are no replicas. 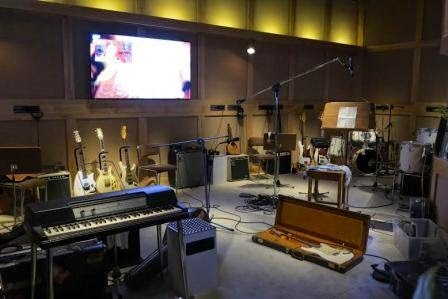 The band recorded most of their singles and albums in the Polar Studios in Stockholm, and the ABBA studio has been installed in the museum. It contains the original mixing console, instruments and other gear, but best of all, there’s a piano that occasionally springs into life. It’s hooked up to another one in Benny’s studio on nearby Skeppsholmen – one of Stockholm’s 14 islands – and when he plays there, the piano in the museum plays too. Turn a corner and there’s the helicopter from the cover of the 1976 Arrival album. Hop in, grab the joystick and have your picture taken. Close by is the green park bench from the Greatest Hits album (also 1976), with a backdrop of Benny and Frida eating the faces off each other. Next to them, Agnetha sits looking miserable and Bjorn reads a pharmaceuticals brochure promoting antibiotics (the photographer was supposed to bring a copy of Time magazine but forgot, and the brochure was all he had in his bag). 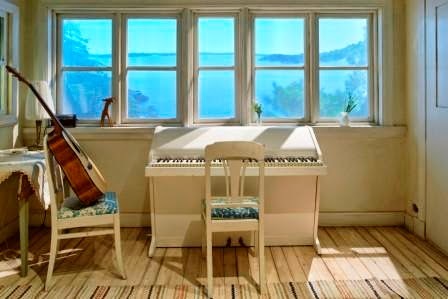 Continue wandering and you’ll see the white upright piano from Benny and Bjorn’s songwriting hut on the island of Viggso, band manager Stig Anderson’s office and ABBA’s on-tour dressing room. 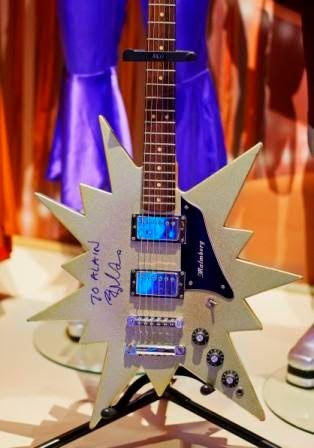 The most photographed exhibits, though, are the costumes ABBA wore and the star-shaped guitar Bjorn played when they won the 1974 Eurovision Song Contest in Brighton, England, with Waterloo (the Wombles were the interval act, God love us). 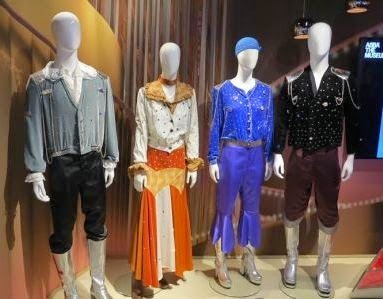 There are many more costumes from the band’s world tours displayed in glass cases, each vying for the gold medal for gaudiness. Album covers in umpteen languages cover every inch of wall space, along with concert posters, programmes and tickets. There are gold discs, platinum discs (and the distinct danger of slipped discs if you overdo the dancing in the museum’s disco). If you’ve more than a passing interest in the band, there are several touch screens on your journey through the museum on which you can test your ABBA knowledge with quiz questions ranging from easy-peasy to nerdishly knowledgeable. 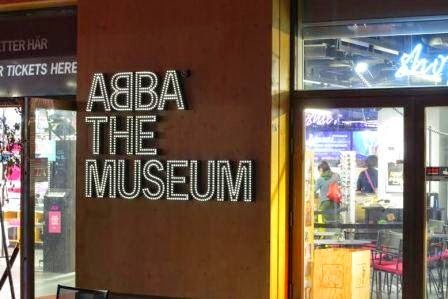 Just inside the museum entrance is the giant sign with ‘ABBA’ picked out in light bulbs that was used as a stage prop on the group’s 1979 tour of Europe and America. Four years later, they went their separate ways and ABBA was no more. Or rather, ABBA the band and ABBA the two married couples – Bjorn/Agnetha and Benny/Frida – were no more. ABBA the brand, however, lives on. Since 1974, fans have bought 380 million albums and singles, which still sell by the truckload. Mamma Mia!, the ABBA stage musical which debuted in London in April 1999, has been seen by 50 million people worldwide and grossed more than $2 billion. And Mamma Mia! the movie, starring Meryl Streep, Pierce Brosnan and Colin Firth, which cost $52 million to make, has grossed $602 million since its release in July 2008. DVD sales to date are $138 million and counting. The ABBA museum is clocking up impressive statistics too. A couple of weeks ago, after being open for only 17 months, it welcomed its 500,000th visitor. Even though the computer that gave me a miserly 774 points for my virtuoso singing can’t count, I can (with the aid of a calculator). Half-a-million visitors divided by 17 months is 29,411 a month, which is way beyond what museum bosses had hoped for, so the word is out and people are pouring in. 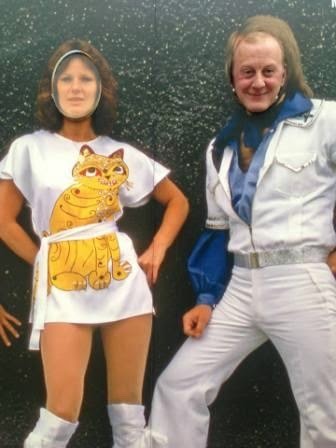 My taxi driver home from Dublin airport was convinced that if ABBA were to re-form tomorrow and announce a world tour, the tickets would sell out in minutes. It’s a nice thought, but sadly – or maybe fortunately given that the members are now all in their mid to late-60s – it won’t happen. However, we can still be grateful for their songs. 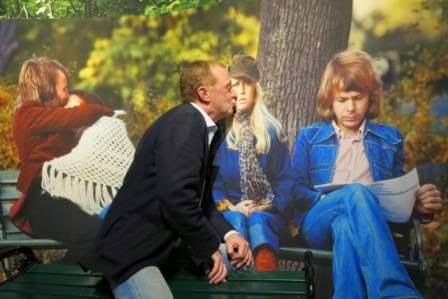 So, ABBA, thank you for the music – and thank you for the museum. For two laughter-filled hours I made an absolute fool of myself and enjoyed every second. It was Funny, Funny, Funny. 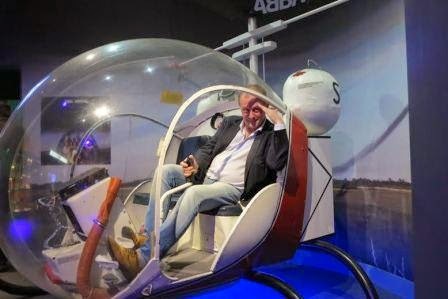 The ABBA Museum (Djurgardsvagen 68, Djurgarden) is part of the Swedish Music Hall of Fame and is open from 10am to 6pm from Saturday to Tuesday and 10am to 8pm from Wednesday to Friday. Tickets (buy online via the website below) are for pre-selected time slots to avoid overcrowding and so visitors can avoid queues. Admission costs 195 kronor (€21.35) for adults, 50kr for an accompanying child aged seven to 15 and 145kr for each additional child (children up to seven enter free). No cash changes hands, so bring a debit or credit card (prepaid cards are available to buy in the Melody Hotel in the same building). A fascinating audio guide narrated in English by the members of ABBA (it was written by Catherine Johnson, who scripted the Mamma Mia! movie) is available to rent for 40kr. Vasa Museum (Galarvarvsvagen 14, Djurgarden): My long-time favourite museum in the world. The great Swedish warship Vasa, which was launched in Stockholm on August 10, 1628, had a very brief maiden voyage. It had gone only 1,300 metres after setting sail when a gust of wind caused the top-heavy vessel to tip over, and within an hour Vasa was 32 metres beneath the Baltic. On April 24, 1961, after sitting upright on the seabed for 333 years, an extraordinary salvage operation brought Vasa to the surface. Thanks to the brackish water and the absence of the destructive teredo worm which can’t survive in the Baltic, the ship’s timbers remained intact for more than three centuries. 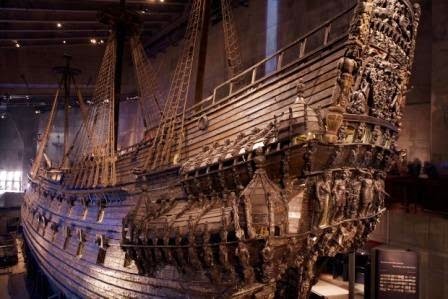 Step inside the museum on the island of Djurgarden and there she is, a massive, magnificent wooden warship, pieced back together and preserved in showroom condition. It’s an amazing, overwhelming sight. You can read the whole remarkable story of ‘Sweden’s Titanic’ in my article ‘Sweden: Holm Swede Holm’ (www.tomsweeneytravels.blogspot.ie/2013/02/sweden-holm-swede-holm.html). Kungliga Slottet (Royal Palace, Gamla Stan): The official residence of King Carl Gustav, though his actual residence is Drottningholm Palace, which is accessible by boat during the summer. The 18th century Royal Palace, built in the Italian baroque style on the site of the old Three Crowns Castle which burned down in 1697, is in the old town and is one of the world’s biggest inhabited palaces, with more than 600 rooms. 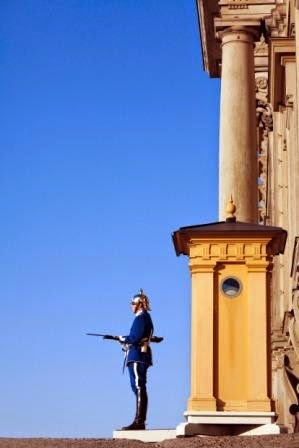 The daily changing of the guard, sometimes on horseback, is great for photos. Stadshuset (City Hall, Hantverkargatan 1): This is where every December 10 the Nobel Banquet is held. It’s a glittering occasion in equally glittering surroundings – the Golden Hall is adorned with 18.5 million gold mosaic pieces and is a magnificent must-see. Inaugurated on Midsummer’s Eve 1923, this red brick, super-sized Italian Renaissance palace by the water is one of Stockholm’s most popular visitor attractions (there are fabulous views from the 110-metre tower, summer only). It’s also the city’s administrative centre, with hundreds of people working there, so tours (guided only) can sometimes be cancelled at short notice because of events inside. Individuals can turn up and join one of the regular tours, but groups of more than 10 should book in advance. Fotografiska (Stadsgardshamnen 22): If it was captured on film or digital, it’s on show here. Fotografiska hosts four large and 20 smaller exhibitions of international contemporary photography each year. There’s a great restaurant that has helped turn Fotografiska into a popular meeting place, and the bar on the top floor is one of the city’s best viewing points. Open until 9pm, so there’s no excuse to miss it. Skansen Open-Air Museum (Djurgardsslatten 49-51, Djurgarden): Step back through five centuries of Swedish history in the world’s oldest open-air museum, founded in 1891 and staffed by characters in period dress. Skansen has more than 150 historical dwellings, farm buildings, shops and workshops brought from all over Sweden and reconstructed amid beautiful gardens and woodland. There’s also a zoo that’s home to wild Nordic animals including wolves, lynx, elks, moose, bears and seals; several great restaurants and plenty of snack outlets; plus souvenir shops selling Swedish handicrafts. December is a great time to visit Skansen, when the weekend Christmas markets are in full swing. 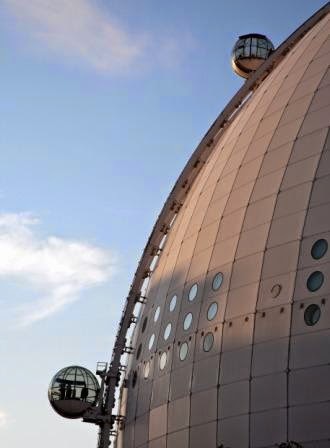 Skyview (Globentorget 2): Visitors can travel up the outside of the world’s biggest spherical building, the Ericsson Globe, in 16-person glass gondolas to the top (130m). As you might imagine, the views over the city from up there are something special. Nationalmuseum (National Museum of Fine Arts, Sodra Blasieholmshamnen 2): You could easily spend all day in here admiring and marvelling at the permanent exhibition of 20th and 21st Century design. There’s everything from pop art and post-modern furnishings to everyday household and industrial items, all displaying the simplicity and functional beauty that are the trademarks of Swedish craftsmanship. The wider collection of paintings, drawings, sculptures and graphic arts includes works by Hanna Pauli, Carl Larsson, Anders Zorn, Renoir, Rubens, Rembrandt, Goya, Degas and Gauguin. Archipelago Tours: Stockholm’s archipelago is among the world’s most spectacular, making a boat tour a not-to-be-missed opportunity. The Fjaderholmarna group of islands is only 20 minutes from the city centre, so it’s ideal for visitors on short stays. The island of Sandhamn is home to the Royal Swedish Yacht Club plus hotels, an inn and several restaurants and bars so you can make a full day of it or even stay overnight. The charming waterside town of Vaxholm with its wooden houses painted in sorbet shades is postcard-pretty, and the Waxholm Hotel is a favourite with locals and regular visitors for lunch or dinner. 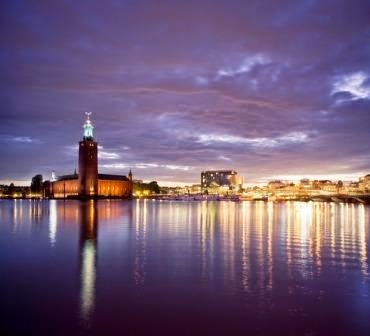 Millennium Tours: Fans of late thriller writer Stieg Larsson’s Millennium Trilogy will struggle to contain their excitement on a guided walking tour in the footsteps of Lisbeth ‘Girl with the Dragon Tattoo’ Salander and investigative journalist Mikael Blomkvist. Meatballs for the People (Nytorgsgatan 30, Sodermalm) sounds like a revolutionary rallying cry, and it hasn’t gone unheard. Opened only last year, this corner diner with additional tables outside is busy morning, noon and night, and no wonder. 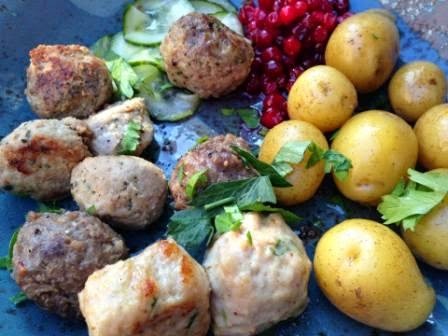 As the name suggests, it serves meatballs, in 10 delicious varieties – ox, veal, elk, reindeer, pork, lamb, wild boar, roe deer, rooster and veggie – with boiled potatoes and cream or tomato sauce or oxtail gravy. 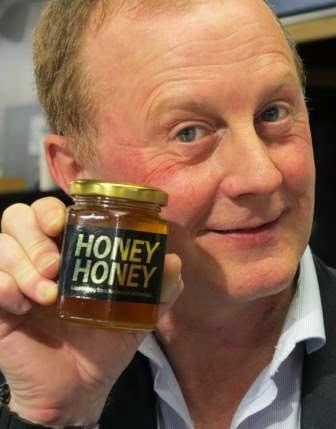 A dollop of lingonberry jam is a must, and you might also order a jar of pickled cauliflower or gherkins or a side salad. Nystekt Stromming (Sodermalmstorg 1) is a Stockholm institution beloved by locals and in-the-know visitors. For 20-odd years this street food cart outside Slussen subway station has been serving the most delicious fried Baltic herring, and from the day it opened squawking squadrons of seagulls have been trying to deprive customers of their combo plates. Order fillets of fish accompanied by mashed potatoes, pickled cucumber, red onion and fresh dill or try my favourite, a herring burger. Open from 10am to 8pm, sometimes later. 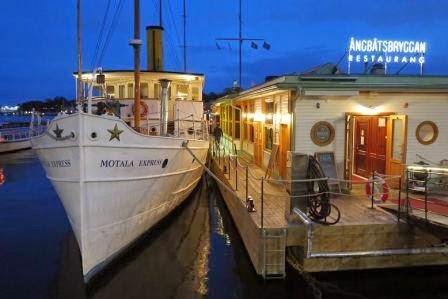 Angbatsbryggan (Strandvagen 18) is a floating restaurant built on a barge and flanked by historic steamboats on the waterfront. The open kitchen produces fabulous dishes inspired by the first-class menu from the Titanic, with starters from 45kr (gazpacho and gambas) to 175kr (caviar and toast) and mains from 195kr (shrimp salad with eggs and avocado) to 310kr (grilled halibut with scallop, cauliflower and arancini with blue cheese). Dine inside or out and watch the world flow by. Snotty Sound Bar (Skanegatan 90, Sodermalm) is not to be sniffed at, despite the snigger-inducing name. There’s nothing snotty or, indeed, snooty about this affectation-free Seventies-style meeting, eating and well-worth-tweeting place. Album covers and band posters adorn the walls and hipsters adorn the sofas, seats and stools. Eat, drink and take note of what the fashionable Swedes are wearing and listening to (mostly indie rock) and be a much-admired trend-setter when you return home. Open from 4pm to 1am (bar food served until 10pm). Verandan at the Grand Hotel (Sodra Blasieholmshamnen 8) is ‘the’ place to go for the famed Swedish smorgasbord, the culinary equivalent of running a marathon. Or rather, walking a marathon, because this is a self-service banquet where you take your pick and take your time. A useful pamphlet informs the uninitiated (including Pharrell Williams who was there on the same night as me and looked Happy) that the smorgasbord is a four to six-course meal involving several trips to the buffet, but you’d need to be on a diet (or on fire and in a hurry) if you stuck to only six courses. Forget the guidelines and go for it, in this traditional order: herring (half-a-dozen varieties to try) with boiled potatoes, plus tangy Swedish cheese and crisp bread accompanied by a shot of aquavit and chased with ice-cold beer; other fish dishes, mainly salmon, in smoked, poached and marinated (gravadlax) versions, the last served with mustard sauce with dill; a selection of salads, egg dishes and cold cuts of meat and poultry; and hot dishes, including homemade meatballs. Price per person is 485kr. Bla Porten/Blue Gate (Djurgarsvagen 64, beside the ABBA Museum). The distinctly Swedish tradition of fika, or coffee and cakes in convivial surroundings and good company, is taken to a colourful and irresistible new level in this delightful indoor and outdoor restaurant. 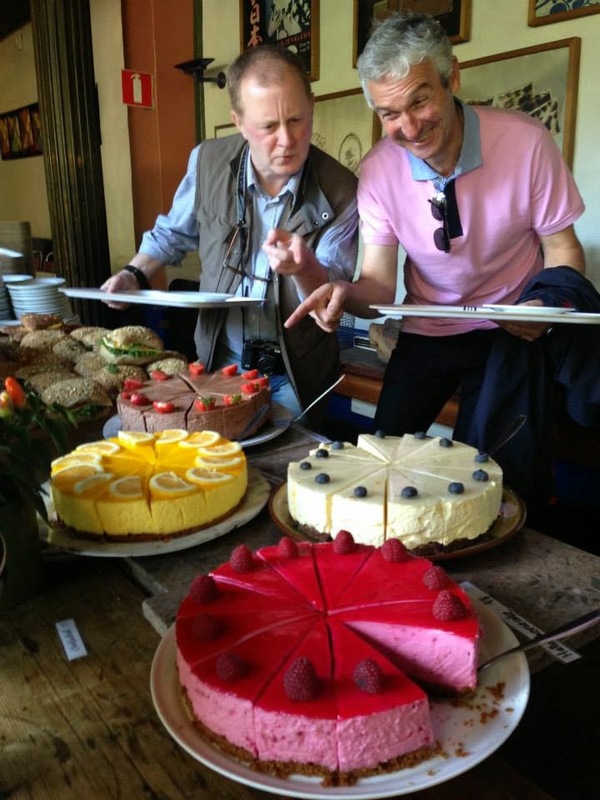 You can almost hear the long wooden tables creaking like a ship’s timbers under the weight of the eye-popping array of cakes, cookies, cinnamon buns, open sandwiches and other treats. Fika fare is available throughout Stockholm, but there’s something especially friendly and homely about Bla Porten that makes it stand out from the rest. As an added bonus, it’s a short stroll from some of the city’s top tourist attractions. B.A.R. (Blasieholmsgatan 4A, behind Grand Hotel). No restaurant in Stockholm loses as many menus as this one – customers keep ‘accidentally’ walking out with them under their coats. While such pilfering can’t be condoned, it’s understandable – anyone who has dinner in B.A.R. wants to show their friends back home what they’ve missed. If any restaurant in the world is going to convert vegetarians, it’s this one. 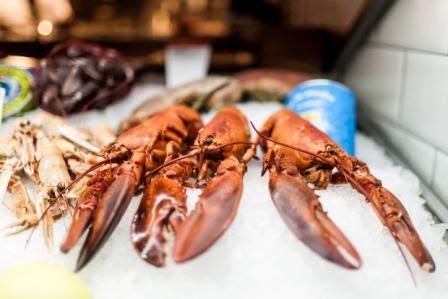 Choose from meat, fish and shellfish specialities (select your own lobster from the tank), grab a bib and get tucked in. It’s a wee bit pricey, but worth every penny. Kvarnen (Tjarhovsgatan 4, Sodermalm). Busy restaurant by day, laid-back bar by night that’s full of character and characters. Kvarnen’s name will be familiar to Stieg Larsson fans – it’s mentioned in the Millennium books as one of the hangouts of Lisbeth Salander and Mikael Blomkvist. They have excellent taste. Nytorget Urban Deli (Nytorget 4, Sodermalm). Every city should have a place like this. 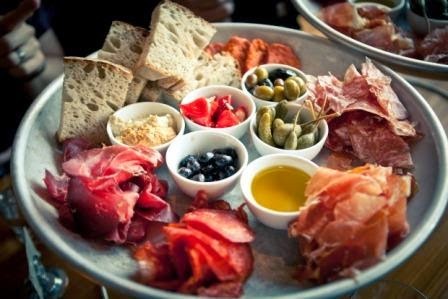 NUD, as it’s known to the locals, is a mix of grocery store, food hall and restaurant/bar where you can buy everything you need for a picnic or sit and enjoy a wine or coffee while tucking into a freshly-prepared sandwich, salad or pastry. Herman’s (Fjallgatan 23B, Sodermalm). Vegetarian buffet with a big veranda (heated in winter) offering views of Gamla Stan that are as tasty as the food. Superb organic dishes and the chance to photograph spectacular sunsets over the Old Town. A message on the website expresses the wish that customers might “walk in peas”. I’m guessing they mean “peace”, though it might be a veggie in-joke. It’s super-affordable. For example, a room for two people for two nights including breakfast costs from 2,098kr (€230). That’s €115 each, or €57.50 per person per night. It’s ideally located, a mere five-minute wheelie-bag drag from the central train station. It’s staffed by the cool kids who graduated top of the class from the school of charm, but without the smarm. They’re really nice, and deserve generous tips. You can check-in online before you arrive and receive your room key direct to your smartphone, which cuts out reception desk queues. Or, if you’re technologically-challenged like me, just tell one of the cool kids you’ve left your smartphone at home and they’ll give you a keycard. There’s no checking-out – as your room is paid in advance and incidentals are paid as you go, simply pack and leave. No queuing to get in, no queuing to get out. 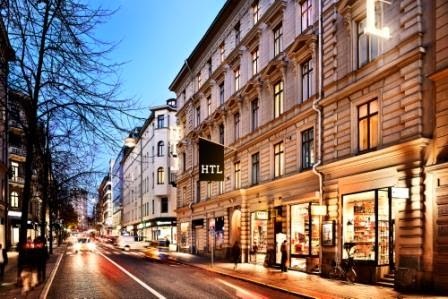 The smartphone app that provides your room key comes with a digital Stockholm guide, Local Everywhere, offering great insider tips from Swedish journalists, broadcasters, bloggers, designers and stylists who know their capital city inside out. It’s packed with top recommendations for bars, restaurants, cafes and shops. Wifi is free throughout the hotel, including in the rooms – none of that old lobby-only nonsense or, heaven forbid, being charged for it. Fly SAS Plus from Dublin to Stockholm from €110pp one way, including 2 x 23kg checked bags, changeable tickets, fast-track security, lounge access and complimentary food/drink on board. 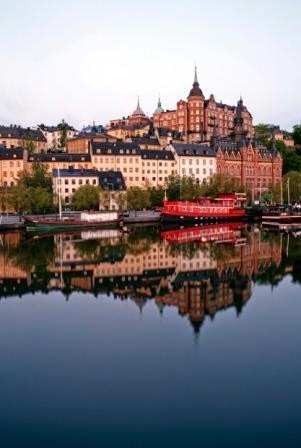 Fly SAS from Dublin to Stockholm from €76pp one way, including 1 x 23kg checked bag, coffee or tea on board, as well as several services to save time, including mobile check-in. 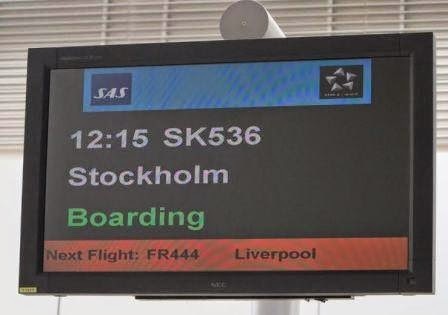 During the winter months, SAS flies four times a week from Dublin to Stockholm. Frequent Arlanda Express trains connect Arlanda Airport with Stockholm Central Station (20-minute journey). Express coaches connect Arlanda with the Cityterminalen and leave every 10 to 15 minutes. Or travel in a six or eight-seater supershuttle mini-cab with other passengers and share the fare, with hotel drop-offs and pick-ups. The standard taxi fare (you can pay by debit or credit card) between Arlanda and the city centre should be around 500kr/€55. Buy a Stockholm Card and enjoy free admission to 80 museums and attractions. Available for 24, 48, 72 or 120 hours, the card also offers unlimited free travel on the subway, buses, commuter trains and trams plus free sightseeing Royal Canal Tour. 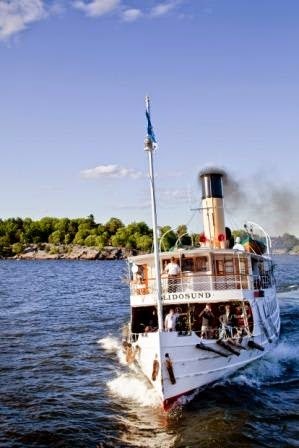 There are also discounts on the Stockholm Panorama and Open Top Tours sightseeing buses and on island-hopper boat trips within the harbour and archipelago. Make full use of your card and it will quickly pay for itself.